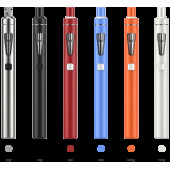 Inheriting the e-juice & battery capacity of eGo AIO, eGo AIO D16 attaches the best anti-leaking structure and childproof lock. 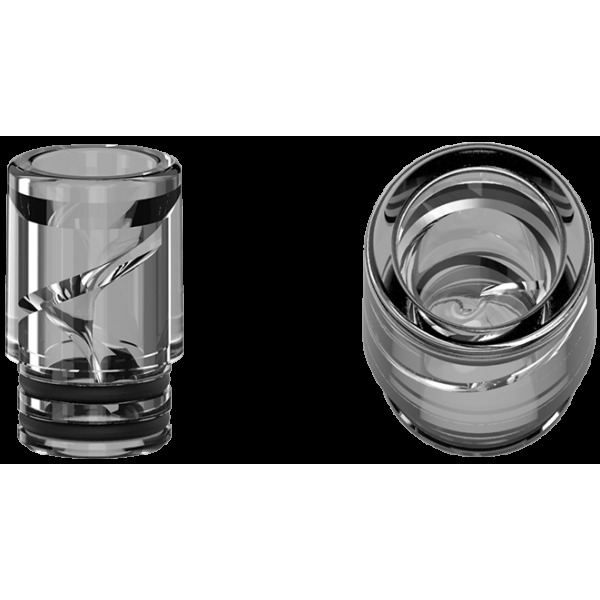 Made of environmental plastic, its mouthpiece is of an unique spiral design. 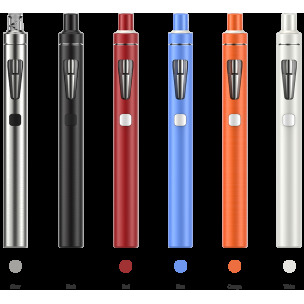 The device is simple and convenient in using, but fashionable in looking of several mixed colors. 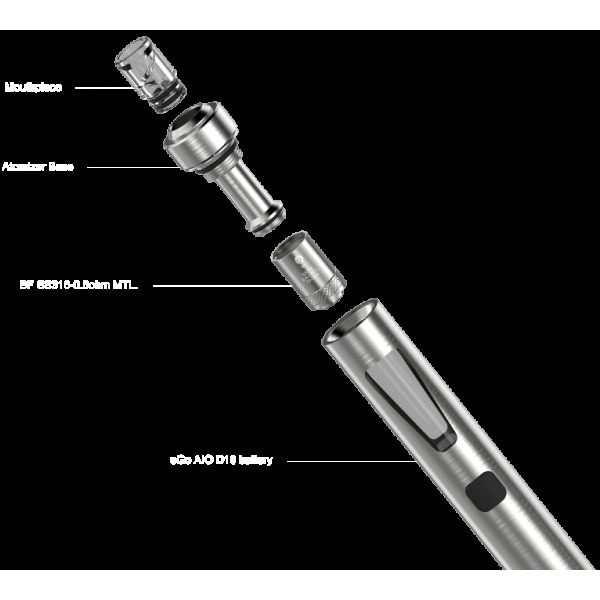 Its simplicity and efficiency make the device quite popular and unique. Choose LED color: In power-off condition, long press the fire button to turn off the indicate light or shift among the color of red, yellow, green, blue, indigo, white or purple. 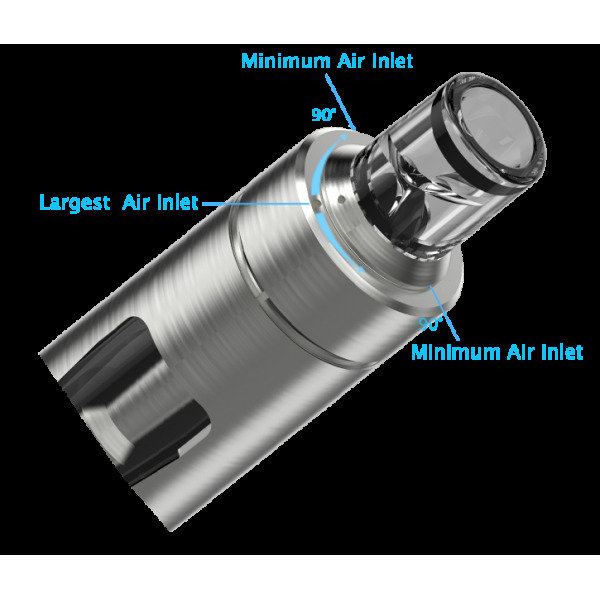 Adjustment of air inflow: Rotating the ring on the atomizer cap clockwise or counterclockwise to adjust the air inflow. 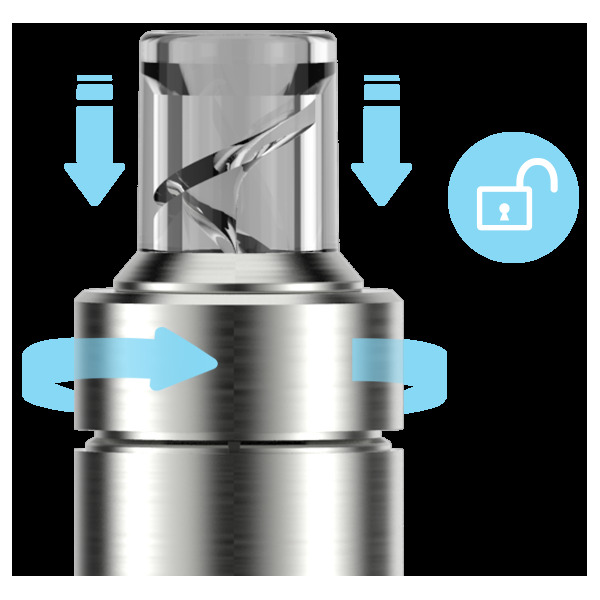 E-juice filling: Press the cap to unscrew the atomizer cap, then inject the liquid directly into the cambered slot. 1. In order to avoid overflow when reassemble please don't overfill. 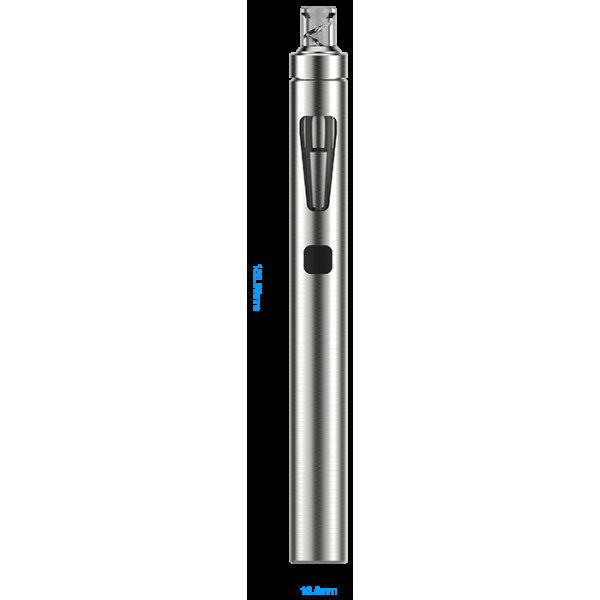 Charging: Simply charge eGo AIO D16 by connecting it with a computer or a wall adapter via USB cable. When it's fully charged, the button light will go out. 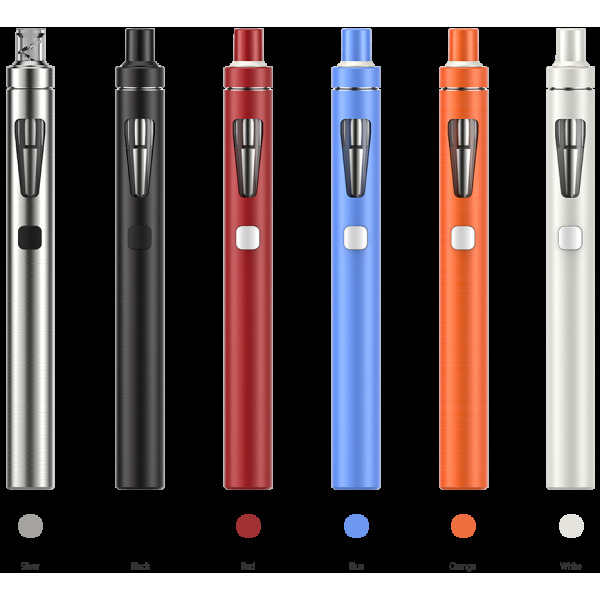 Joyetech eGo AIO's coil is compatible with that of Cubis. 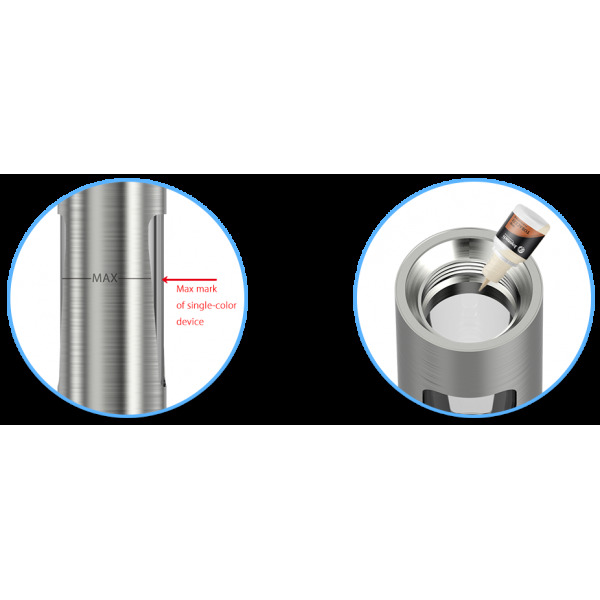 Use Cubis 0.6ohm BF SS coil with eGo AIO.